User Experience @ NCSU: Apple goes all Minority Report. It's opt in, but a bad idea. Apple goes all Minority Report. It's opt in, but a bad idea. 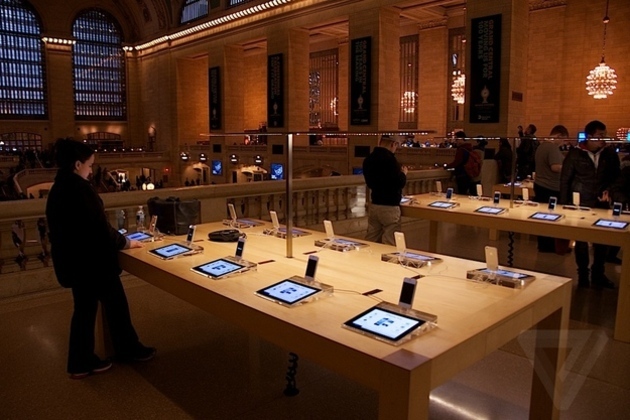 Apple is switching on "iBeacons" across its 254 US stores today, according to a report from the Associated Press. iBeacons, which use low-power Bluetooth transmitters to offer location-aware services to your phone, were quietly introduced along with iOS 7, and although other retailers have toyed with the idea of adding beacons to its stores, Apple's rollout today represents the first major deployment of the technology.